Top quality self-adhesive labels produced to your own specifications and design, using the ‘Hot-Foil’ printing process. This produces labels with great impact, consistently high colour density, high definition and excellent fade resistance. For those difficult applications, the labels can be laminated with a clear high gloss polyester film. This renders the label waterproof, scuff resistant, easy to clean and virtually indestructible. We can also produce multicolour labels, metallic labels and round labels. Most sizes of our labels are supplied rolled into convenient dispensing boxes. Please call our Customer Care Team on 01707 385226 to discuss your requirement. Permanent Adhesive Colour Labels are available in black, white, light blue, dark blue, orange, light green, dark green, pink, buff, brown, fluorescent tangerine, red and yellow. 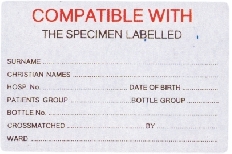 Peelable Labels are normally only available in white. Please call our Customer Care Team on 01707 385226 for details of other colour options. Text colours available are, black, white, light blue, dark blue, light green, dark green, light brown, dark brown, pink, orange, yellow, grey, purple, maroon and buff. 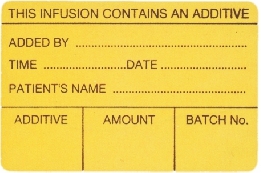 Metallic Labels are produce a wide range of metallic labels. Please call our Customer Care Team on 01707 385226 to discuss your requirements.